The example below shows the ii V I progression, one of the most common building blocks in jazz harmony. It is very important for bass players as well as all instruments to be able to recognize this sound. The example below shows aa common voicing incorporating good voice leading. Practice these exercises until they are comfortable, when the piano voicing are familiar the goal is to play them in all 12 keys. Piano Basics for Bass Players. Examples of piano voicing for the ii min7 V7 I maj progression. One of the most common building blocks of functional jazz harmony. 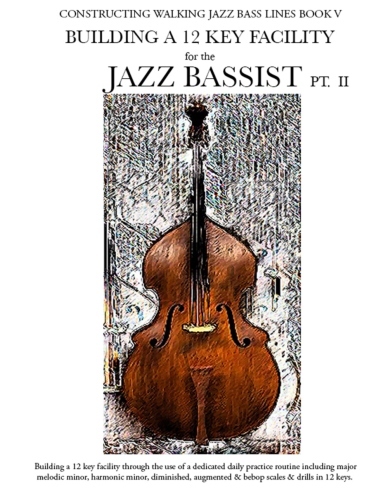 The ii V I progression one of the most common building blocks of jazz functional harmony. Shown in the exercises above. At some time or another most great musicians have invested some of their practice time into working on the piano. If you want to write or arrange make the piano your friend. Start today, tomorrow never comes.